The pet insurance company's stock has tripled over the last three years. The stock of Trupanion (NASDAQ:TRUP) gained 14.3%% in February, according to data from S&P Global Market Intelligence. The pet insurance company's shares gained ground thanks to another quarter of solid earnings results and bounced back from sell-offs late last year. 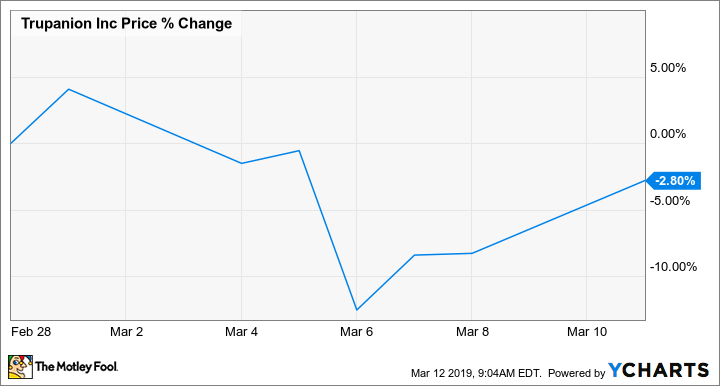 Trupanion reported fourth-quarter results after market close on Feb. 13, delivering sales results for the period that topped analyst expectations but earnings that missed the target. The company's stock fell more than 20% across 2018's final quarter, but it has posted a recovery along with the broader market this year. Fourth-quarter sales climbed 24% year over year to reach $82.6 million and beat the average analyst target of $82.16 million. The company posted an adjusted loss per share of $0.01, which was worse than the break-even quarter called for by analysts. 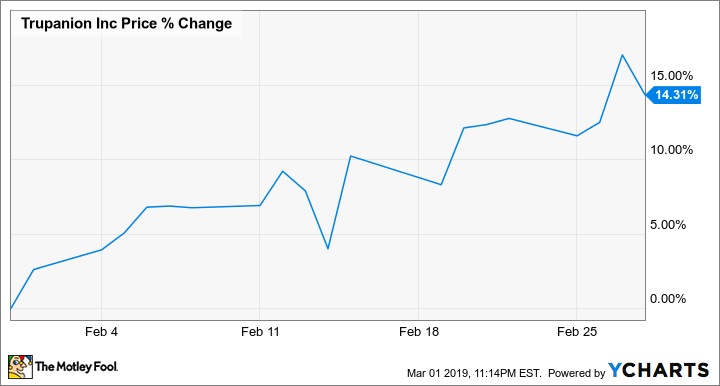 Even so, impressive momentum for the company's core subscription business and a more bullish backdrop for the broader market helped Trupanion stock post double-digit gains last month. The company's total of subscription-enrolled pets rose 16% year over year to reach 430,700 at the end of December, and total subscription revenue for 2018's final quarter climbed 20% to reach $70.9 million. Trupanion stock has lost a bit of ground in March's trading, with shares trading down 2.8% in the month so far. Pet care looks to be a growing market, presenting a favorable long-term operating backdrop for Trupanion. The company is guiding for more impressive subscriber growth in 2019 and expects operating income to come in between $40 million and $45 million -- a substantial improvement on the roughly $1 million operating loss that it posted across 2018.